Tennessee Bicycle Accident Lawyer Amy Benner on the challenges and opportunities of being an attorney for the rights of bicyclists. 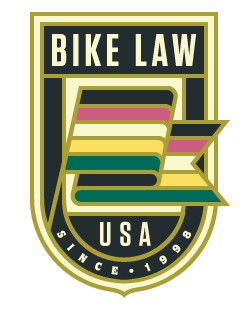 Last Tuesday, I was thrilled to officially become affiliated with Bike Law as the Tennessee attorney in the network, covering the State from Memphis to Nashville to Knoxville and all places in between. Well-timed, because on Wednesday, I traveled to Nashville to attend and speak at the third annual Tennessee Bike Summit. I have been advocating for safe streets and shared roadways for some time now. Additionally, I defend the rights of those accused of crimes. These two areas of law intersect quite nicely, because they allow for big picture thinking, which is a requirement for anyone honing into an area of practice that is new on the scene in the legal community. By choosing to publicly announce that I practice in the area of Bike Law, I have placed myself in the midst of an area of controversy. Car crashes aren’t controversial. Car crashes involving cyclists are. For the cycling community, I have become an agent of change, justice, accountability and health equity. Detractors of the bicycle and pedestrian movement often comment that with all of the problems in the world, it seems petty that proponents of bicycle and pedestrian facilities make such a fuss over equal access to the roadways. Aren’t there wars, famines and disasters that we should be focused on, they say. Dear Mayor, please focus your efforts on gang violence, rather than bike lanes, may be a more localized retort here in Knoxville. To those critics, I would say, step back and look at the larger picture. Multiple causes that need champions surround us at all times. The bicycle and pedestrian cause is of utmost importance. Visit an inner-city Bike Collective, where at-risk youths are taught a skill, given encouragement, and if they see it through, a bike which may be the first step to getting a job, which may prevent gang affiliation as their only perceived means of survival. Look at the big picture. My work as an officer of the Court, representing an affluent cyclist who was struck by a car in an area of town far away, has a very real impact on the success of the inner-city bike collective. As a vulnerable roadway user, the affluent cyclist has rights and needs me to fight for his access to justice as well. Now, let me narrow in. Bike Law is a very specialized area of practice. It is not general personal injury plaintiff’s work. Personal injury cases involving bikes present a host of issues that the typical personal injury case does not. Bike Law requires the ability to operate effectively in the personal injury legal system as it is, while understanding the unique gaps that will need to be filled in to have a successful bicycle injury case, which the cycling community has such a strong desire to see happen. Regular attendance at state-wide and national bike summits are crucial for any attorney practicing in the area of Bike Law. While it may not seem directly related to filing a personal injury claim, having an in-depth knowledge of transportation planning legislation, the bike and pedestrian policies of a state’s DOT, knowing what community health projects are in the works in a state, and having a working relationship with the coordinators of Metropolitan Planning Organizations, among other things, all help immensely in developing a legal argument to support your injured client. Start with the big picture and narrow in. Developing a niche practice in an area that is a controversial topic in mainstream society requires a thick skin. A bike lawyer may very well be laughed at. Belief in a cause and confidence in what you are doing means that vitriolic irrational anger, or laughter and skepticism mean little. Jim Sayer, Executive Director of Adventure Cycling Association, was a keynote speaker for the TN Summit. Jim quoted Schopenhauer and said that, “All truth passes through three stages. First, it is ridiculed. Second, it is violently opposed. Third, it is accepted as being self-evident.” He opined that here in the U.S., cyclists find ourselves in the second stage. I am inclined to agree with him. My willingness to have the violent opposition directed my way if it means that I’m getting positive outcomes for my bike law clients, is the reason why I’m so thrilled to be a part of the Bike Law team. This article, Why Being a Bicycle Accident Lawyer Matters, was originally published on Bike Law on May 20, 2014.